Private Charters on "American Spirit"
Your event can be for simply pleasure, or if you're interested, our Captain and Crew are always happy to provide educational and team building type events on board the boat while sailing. We offer three hour cruises for groups of up to 40 (no minimum required) – this is the maximum number of passengers that we are licensed to carry. We do not pro-rate for less guests or for abbreviated sailing duration. Please note that 40 passengers does make for a tight boat with little room to move about. We recommend closer to 35 to cap your list, but are licensed to carry 40. The cost to charter depends on the date that you're interested in booking. General Information: Monday - Thursday cruises are $1200 and Friday - Sunday cruises are $1500. This charge includes captain, crew, fuel, etc. Additional time may be quoted if availability permits beyond the standard three-hour time slot. Food & Beverage: DC Sail does not provide catering capabilities, but you are welcome to bring food and beverage on board with you, including beverages containing alcohol, (beer & wine only.) Think "Floating Picnic" as you'll need to provide your own paper plates, napkins, utensils, etc. 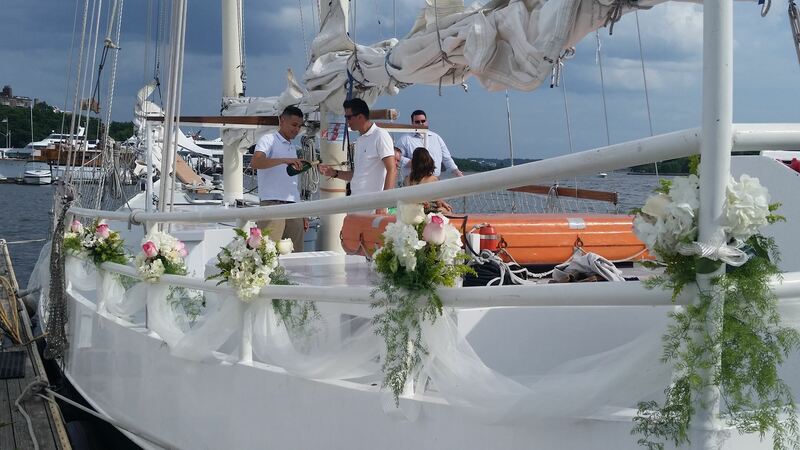 You may also contract with your preferred caterer and arrange for delivery to our dock prior to your departure time. Crew will prepare two large coolers stocked with ice for your event. Amenities: There is a unisex head (bathroom) on board. We also have a sound system and you’re welcome to bring along music. For evening cruises, crew will place low lights on the deck creating a soothing environment while you're sailing. The boat carries lifejackets in all sizes from infant through adult. Weather: We will be monitoring the weather the day of your event and if we need to issue a cancellation notice to your group due to severe conditions (thunderstorms, excessive winds, etc.) where we are unable to leave the docks, you (or appointed other) will be contacted via telephone and it will be up to the event coordinator to contact the remainder of the passengers. Please be advised that we will sail in light rain or may elect to delay for a short while should a storm system be moving through. The decision is solely the Captain's. 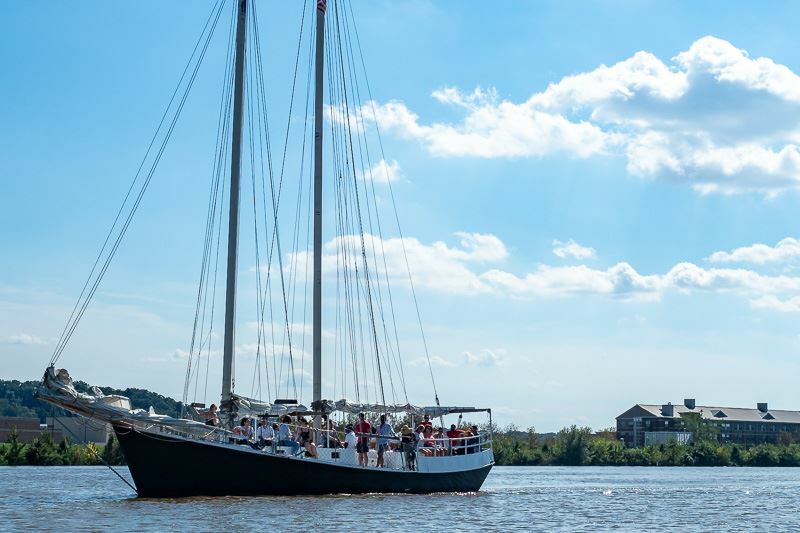 In the event we issue a cancellation due to weather, we will fully refund your payment, or you may also re-book the charter for a date through our 2019 sailing season. To Secure the Booking: Once your requested date is approved, you'll need only to complete a contract and issue a 50% deposit. Payment may be processed with ease via our secure PayPal portal. The balance will be due five days prior to event. For additional information on American Spirit, please click here. 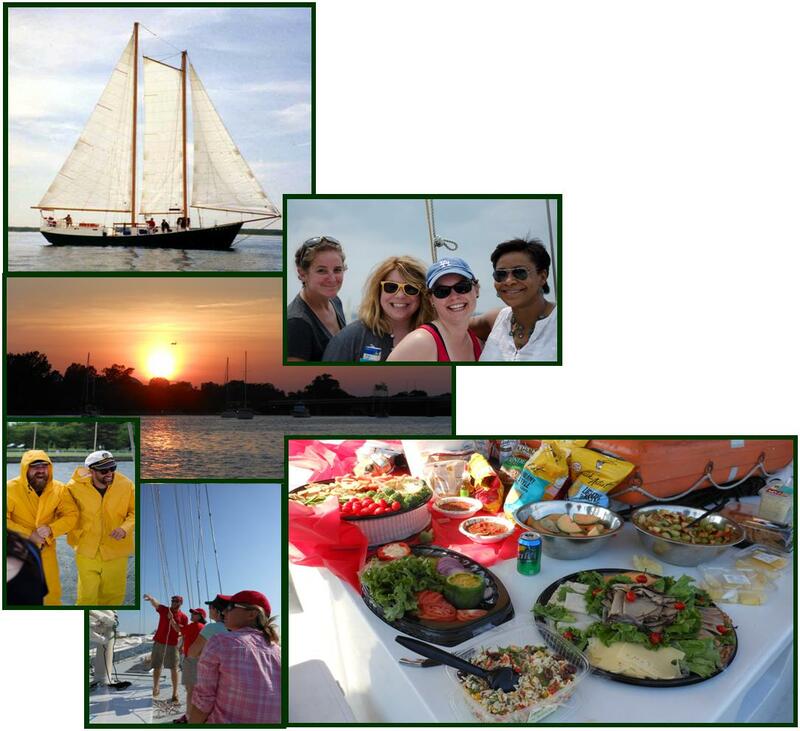 We host wonderful ticketed events available to the public on board the boat throughout the spring, summer and early fall. If you want to participate as a group in one of our scheduled cruises, each person will simply register/pay for their ticket(s), or we can help facilitate payment with a single credit card where applicable.